In 2004 just 13 bike-share systems existed in the entire world. By 2014, though, that number grew to 855, according to data published in Transport Reviews. That’s an increase of 6,477 percent in just 10 years. Whether it’s for fun, to get to work or for sport, clearly bikes are becoming a more popular mode of transportation, and especially in cities where it’s easy and safe to get around on only two wheels. According to the folks at Walk Score, a city’s “bikeability” is based on more than just its infrastructure. They point to the example of San Francisco, where bike commuting grew faster than in any other city from 2007 to 2010, despite a lawsuit that prevented the city from adding any new bike infrastructure. 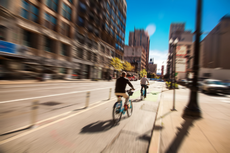 For this reason, when calculating its annual list of the most bike-friendly cities, Walk Score considers a handful of factors including bike lanes, hills, “destinations and road connectivity,” and bike commuting mode share (or the percentage of a city’s population that commutes to work by bike). Cities are awarded points based on data that reflects these factors; the higher a city scores, the more “bike-friendly” it is. Cities scoring between 90 to 100 points are labeled as a “biker’s paradise,” where daily errands can easily and safely be completed on a bike. Cities that earn 70 to 89 points are labeled as “very bikeable,” or where most trips can be conveniently made by bike. Lastly, cities that score between 69 and 50 points or 49 and zero points are considered “bikeable” (there’s some bike infrastructure) or “somewhat bikeable” (there’s minimal bike infrastructure) respectively. 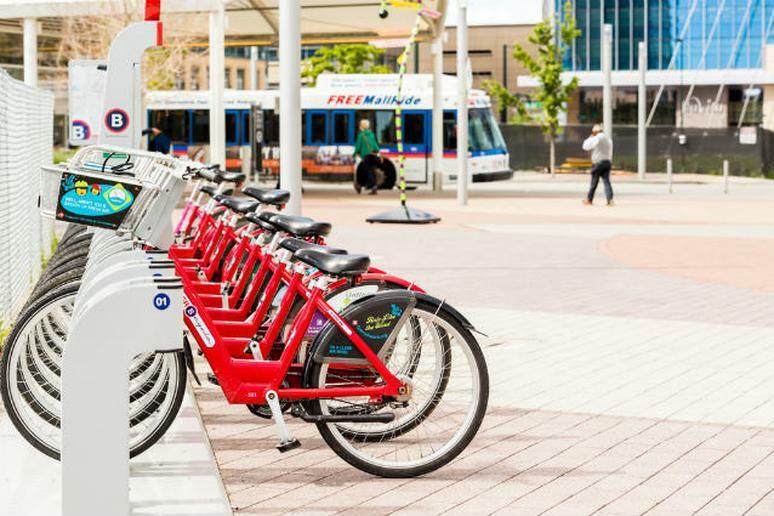 All of the 2015’s most bike-friendly U.S. cities scored 68 points or more. In fact, only one city—the number one most bike-friendly city—scored above 80 points. So perhaps even some of the best cities for biking still have some improvements to make. Either way, according to Walk Score’s analysis, these 10 cities are currently the most bike-friendly in the U.S.
Click here to see more of the top 10 most bike-friendly U.S. cities.